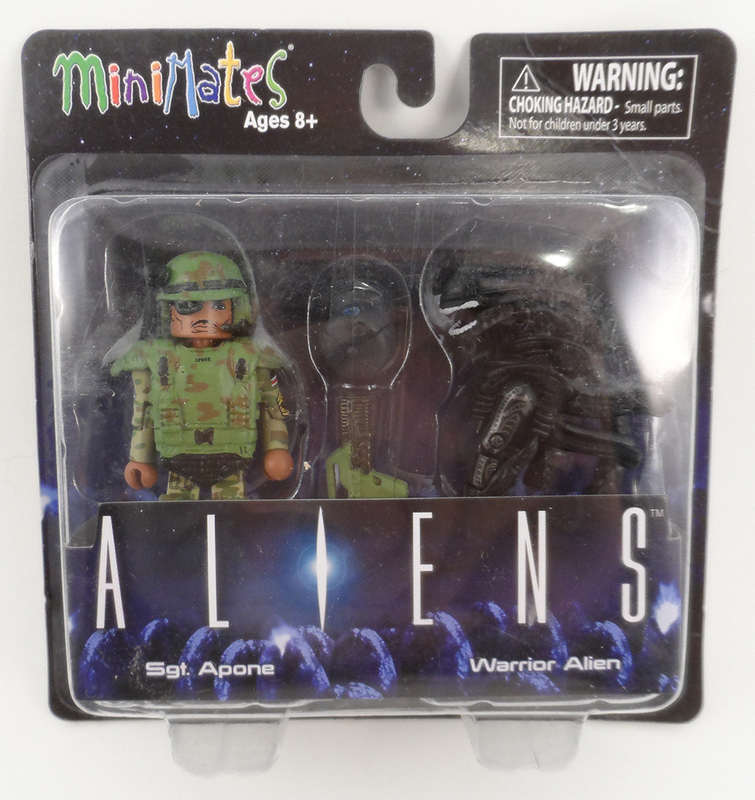 Wave 1 of the Aliens Minimates are out at comic and specialty stores. Today we’re looking at the Sgt. 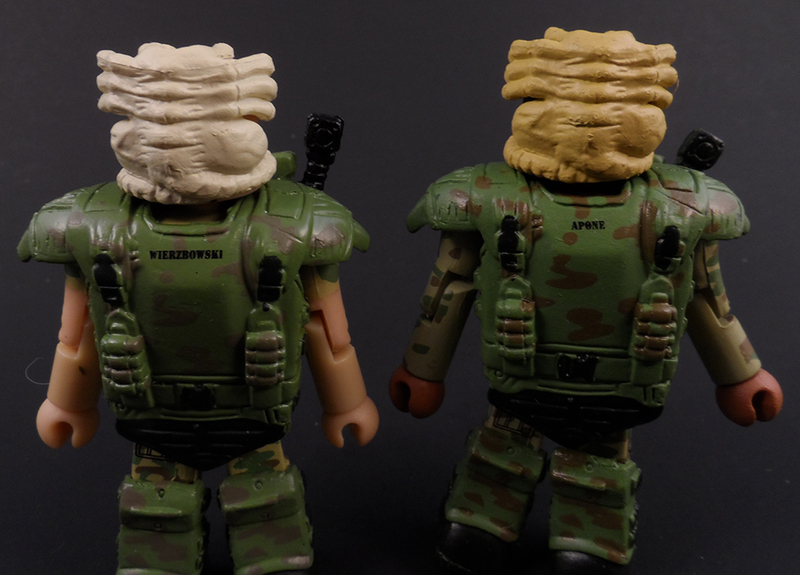 Apone & Warrior Alien 2 pack! 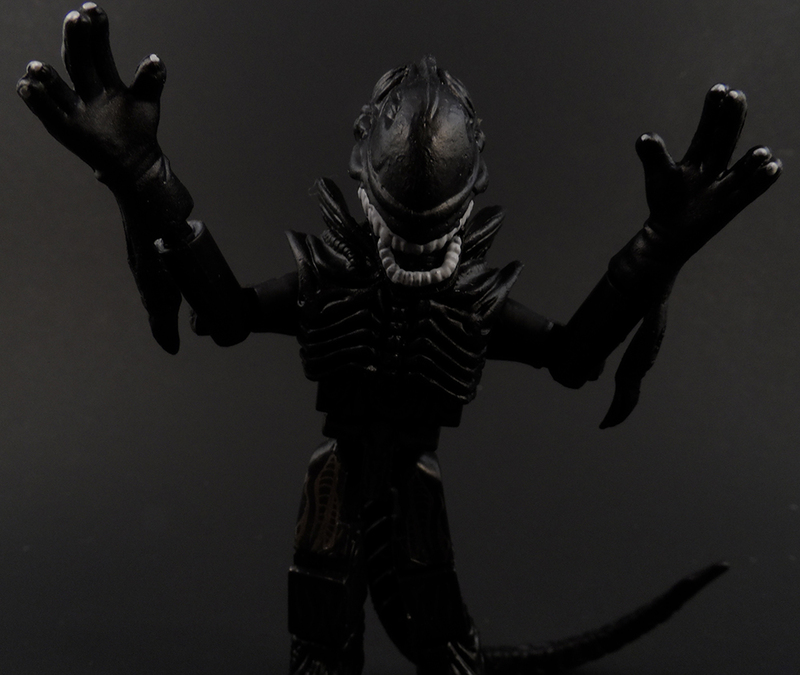 The Warrior Aliens appears to be the exact same one from the Dump Case. 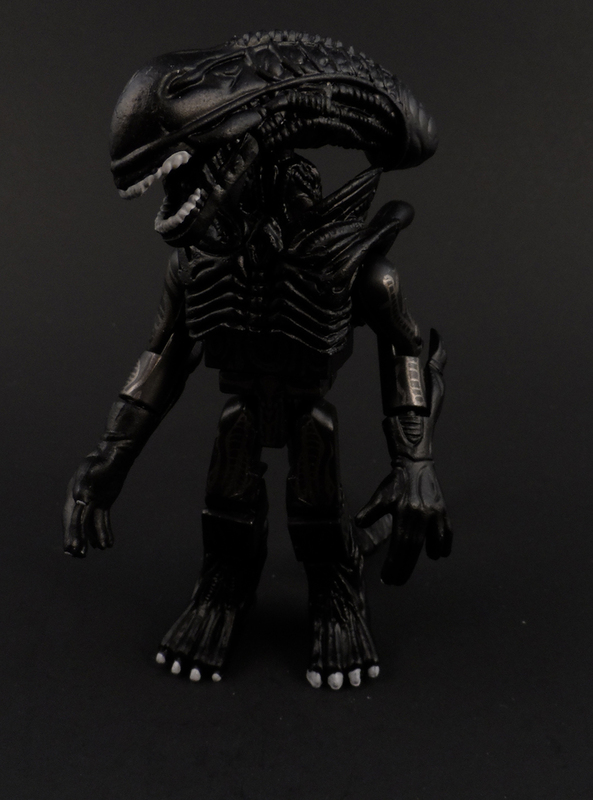 The figure in my set seems to have the mouth piece glued in an open position as opposed to the closed position the Dump Case Alien had, but I don’t know if they’re all like that or just this figure. 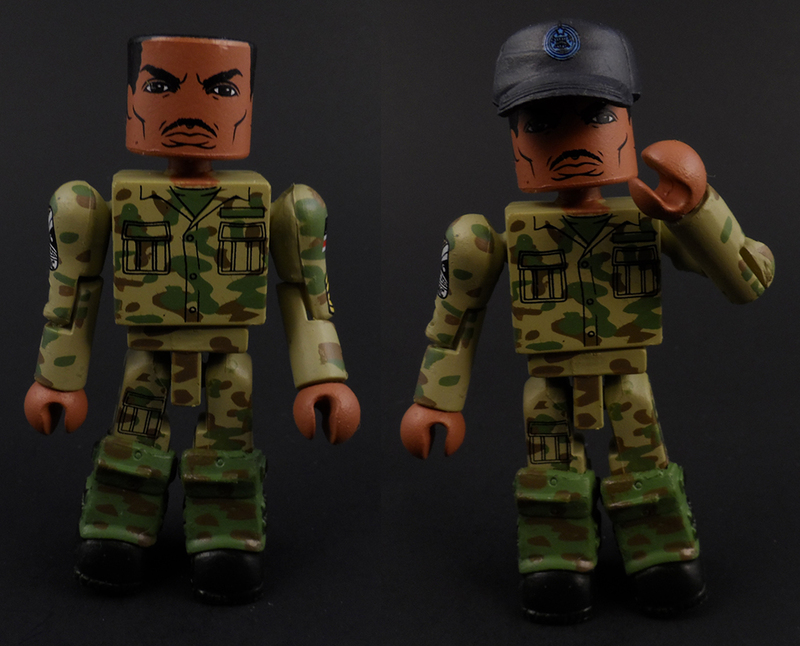 So now let’s look at the leader of Bravo Team, Gunnery Sergeant Al Apone! 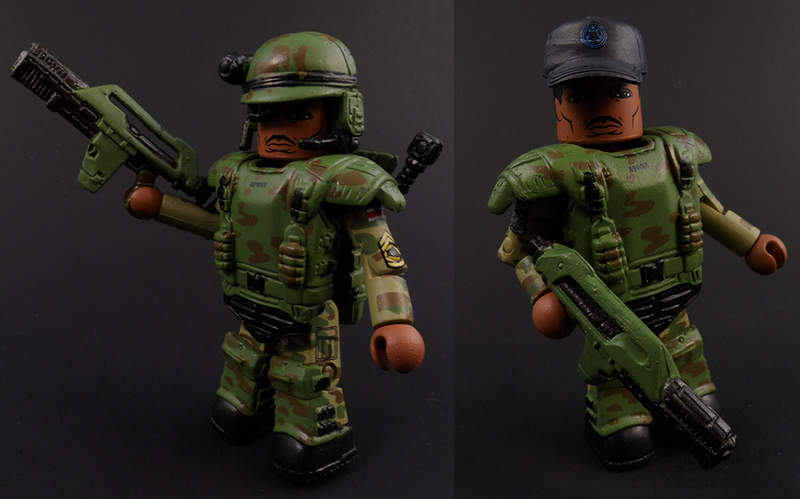 Like most of the Space Marines he comes with armor, but can remove it to have an unarmored look. 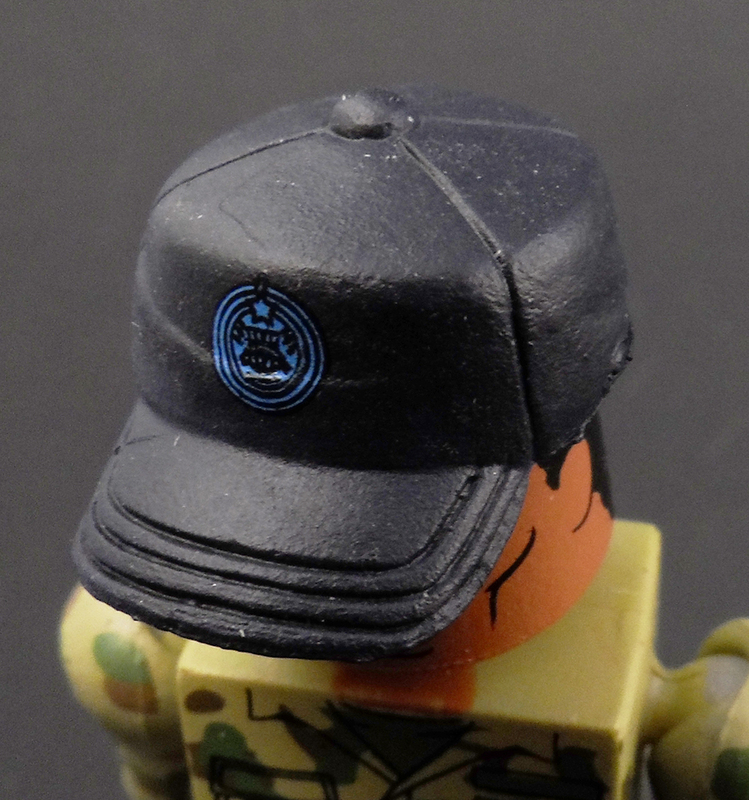 Apone also comes with his USCM Hat. Both arms have patches on them. It appears there was a mistake on the USCM patch as it says USMC. 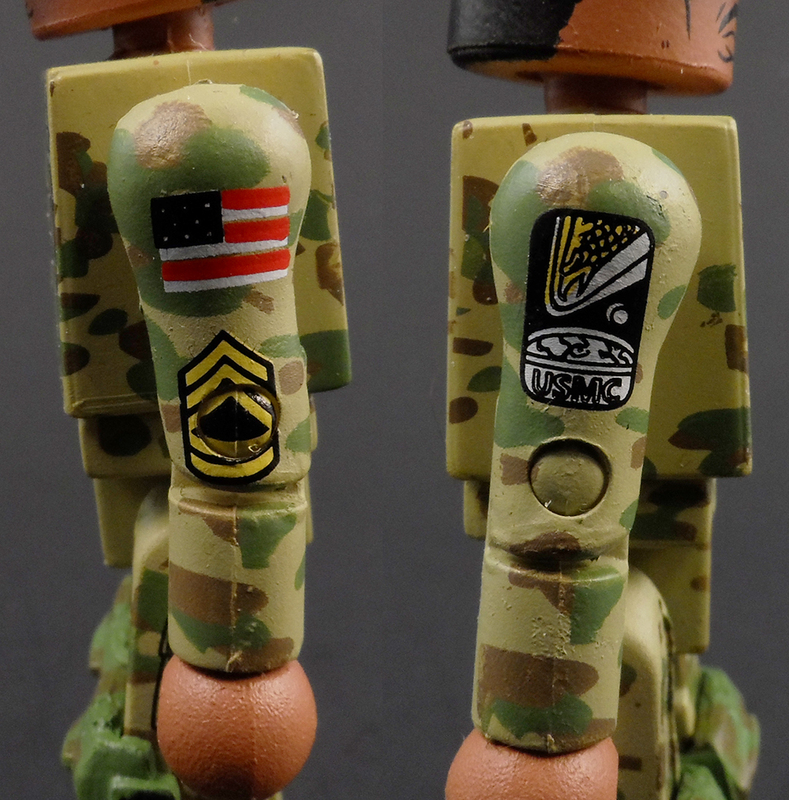 It’s such a small detail that I didn’t even notice it until someone else mentioned the mistake on their figure. 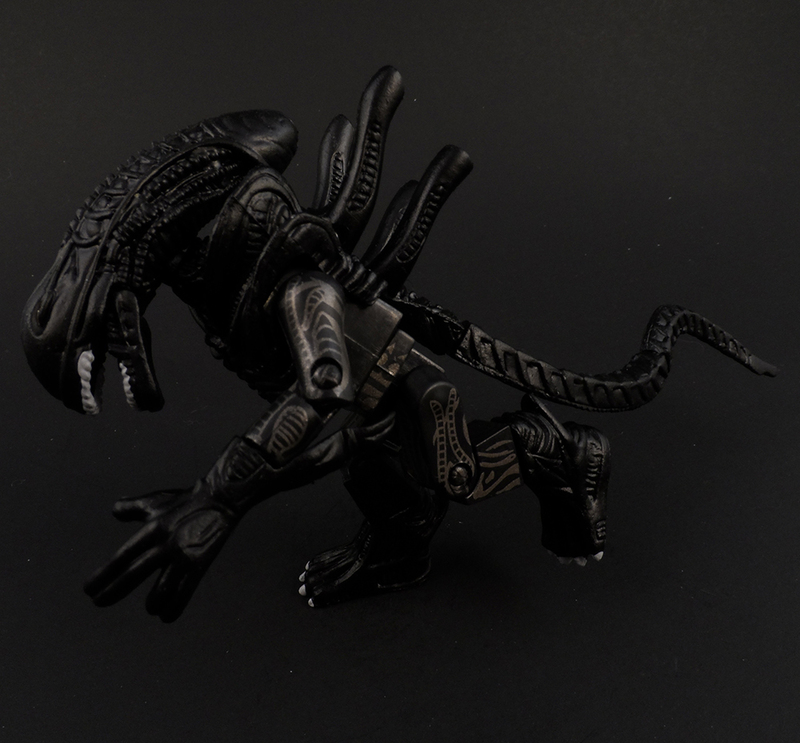 The last accessory Apone comes with is a facehugger! 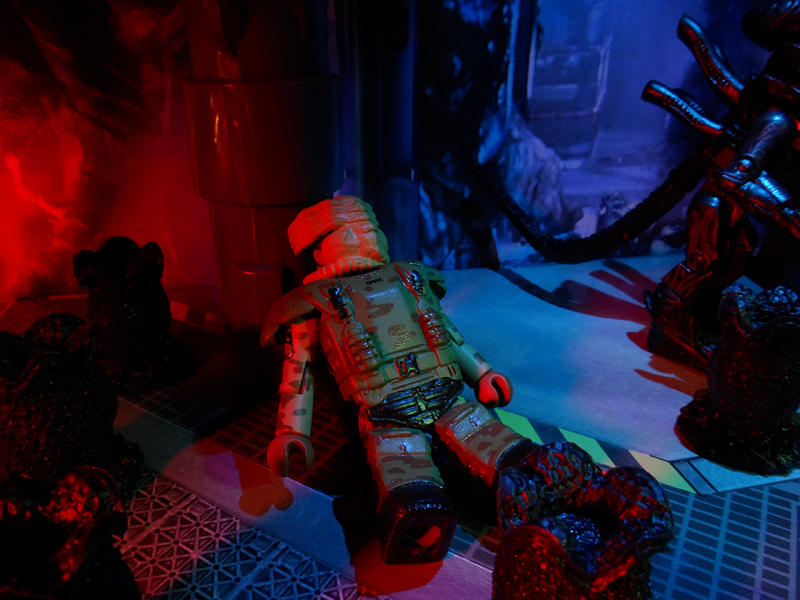 The facehugger is the same one that comes in the Alien box set, but is painted a darker tan/yellow color. 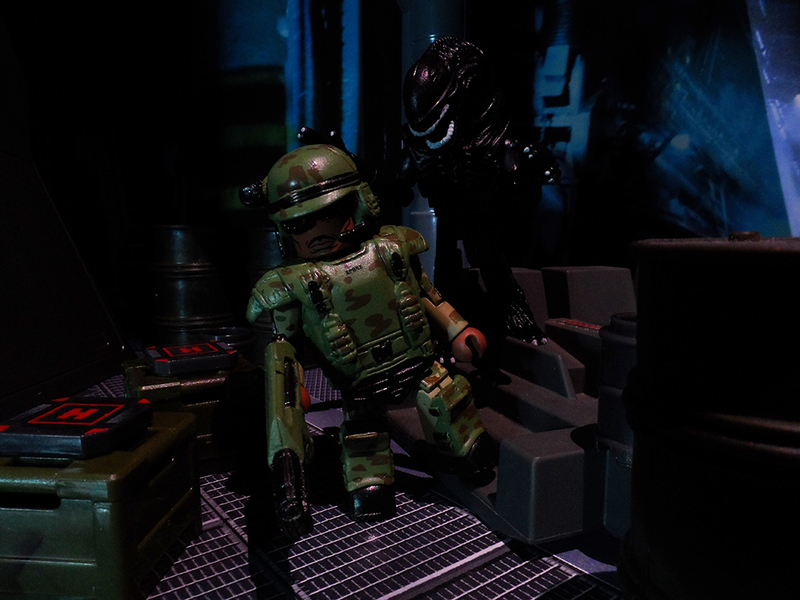 It can slip over any regular Minimate head. 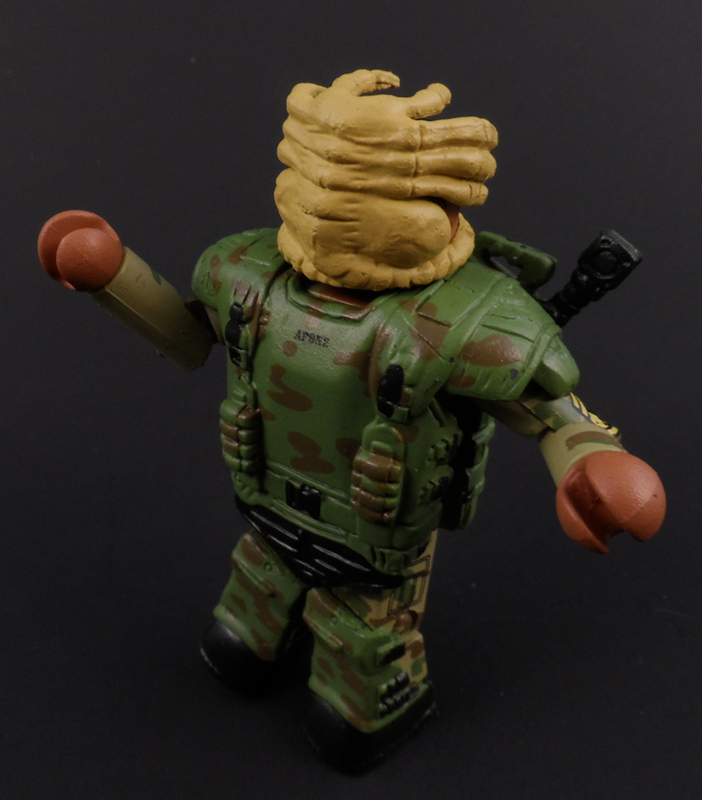 The arms can be bent out a little to work around hair pieces if need be. 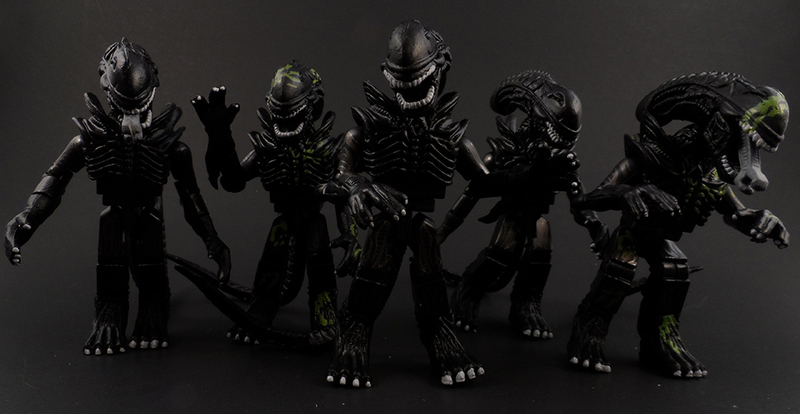 Like the DRake set, most people will be after this set for Apone rather than the Alien. 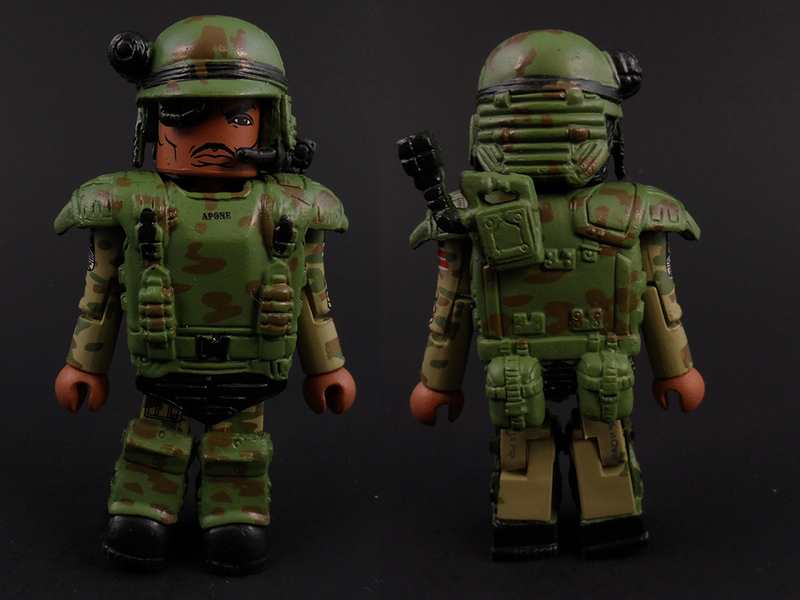 Apone has a lot of nice details and looks great, I just wish he came with a cigar hand like a few other Minimates have had over the years. 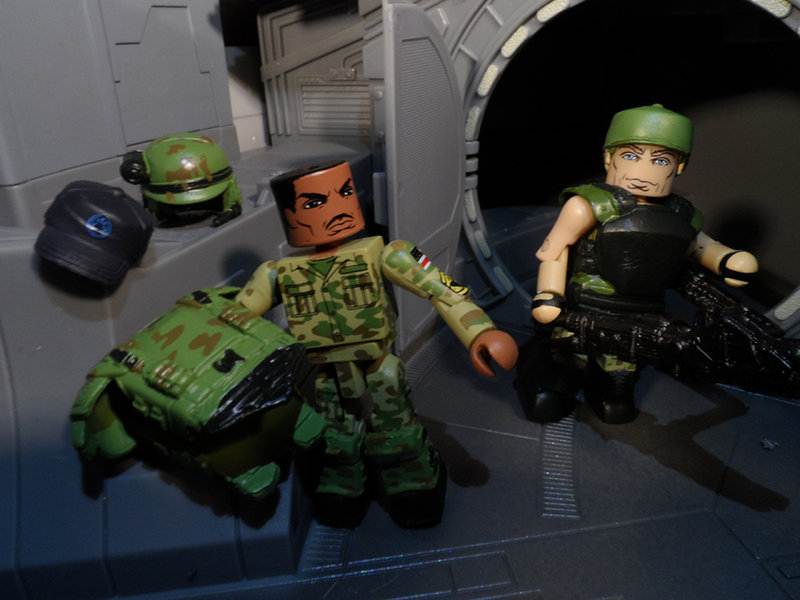 Otherwise, you’ll need to get this set to have your Space Marine Leader, but I could see casual fans passing this set up since most of the Space Marines didn’t survive the movie.